Friendly staff. Nice breakfast. Comfortable room. Didn't like TV selections. The Holiday Inn was very clean, quiet with an excellent free breakfast. Where to find Sandpoint hotels near an airport? 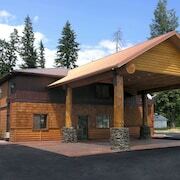 Where can I find hotels in Sandpoint that are near tourist attractions? Small towns don’t get any more beautiful than Sandpoint. 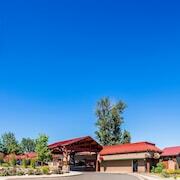 This slice of perfection on Lake Pend Oreille is a beloved scenic destination for families and couples. Take a look around at sandy beaches, lush landscaping, and picture-perfect sidewalk cafes. Relish the way views of the Selkirk Mountains, the Cabinet Mountains, and the Bitterroot Mountains hug the distant horizon. You may have found a place where the worries of modern life can’t find you. 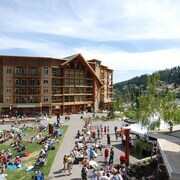 Fit some wholesome fun into your budget using Expedia’s deals at top Sandpoint, Idaho hotels. The town calendar stays pretty full in Sandpoint. It seems like music festivals, craft fairs, art shows, and cultural events are always lighting up downtown. A huge array of hiking trails offers you the chance to have some fun away from the beaten path. You can always count on the locals to treat you like an old friend in this small town with a big heart. Each season in Sandpoint offers a little something for everyone. Cold, snowy winters at the base of three mountains offer exceptional opportunities for skiing and other winter sports. When summertime temperatures edge up near 37 degrees Celsius, the refreshing waters of Lake Pend Oreille are where you want to be. Spring and autumn’s mild, clear weather couldn’t be more perfect for hiking local trails, exploring state parks, or cruising scenic byways. 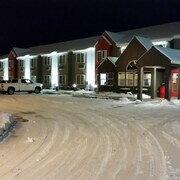 Hotels in Sandpoint never stop attracting travellers in search of snowflake fantasies or sunny surrenders. Ready to discover hidden pockets of bliss in Idaho’s cutest resort town? City Beach offers an incredible spot to lounge in the sand or swim in Lake Pend Oreille. Rent pontoon boats, paddle boards, and kayaks for extra fun. Check out local merchants, tasty breweries, and tempting restaurants in the Sandpoint Shopping District. Sleigh rides are available at local ranches during winter months. Several local spas and wineries offer sophisticated fun. Expedia.ca has the deals you need to fit a stay at a luxurious hotel into your family’s budget this year. What’s more, combining overnight accommodations with flight deals to Sandpoint will help you keep costs exceptionally low. Ask our travel experts all your questions about saving money and seeing top attractions in America’s heart. Ready to dip your toes in the sand? 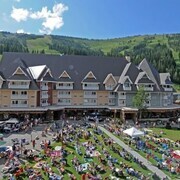 Grab cheap rates at the best Sandpoint hotels using the travel packages right here on Expedia.ca today. 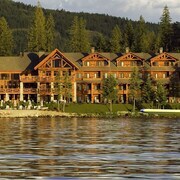 What are the most popular Sandpoint hotels? 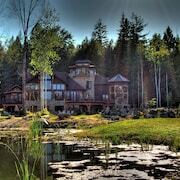 Are there hotels in other cities near Sandpoint? 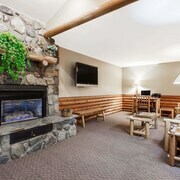 What other types of accommodations are available in Sandpoint? Explore Sandpoint with Expedia.ca’s Travel Guides to find the best flights, cars, holiday packages and more!